Home Seats2meet.com What happens in the internet during one minute? 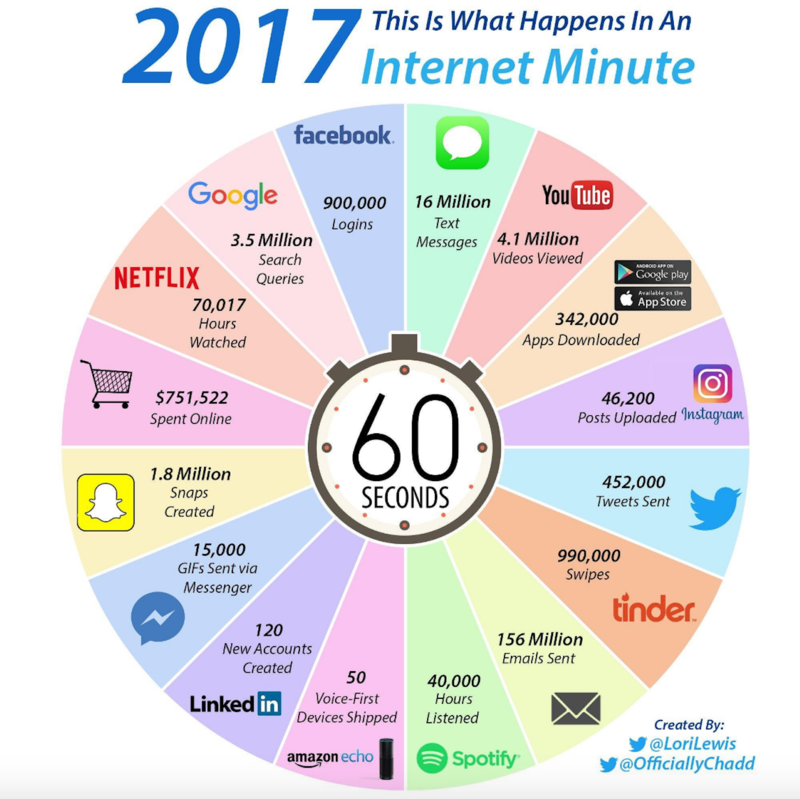 Every year Lori Lewis and Chadd Callahan from Cumulus Media create a graphic showing what is it that happens during one minute on the internet. The graphic shows the interactions in the biggest website as Facebook, Google, and Netflix. There you get interesting insight as every minute there are 900.000 logins on facebook. Or 751.522,00 dollars are spent online. And 990.000 people swipe left or right on Tinder. You can see the whole graphic below. Now, Seats2meet is not included in the graphic – yet – but we can already tell you that every minute 0,75 meeting rooms or workspaces are being booked on the platform. That’s 400.000 every year. Previous articleSeats2meet Box 10 jaar!